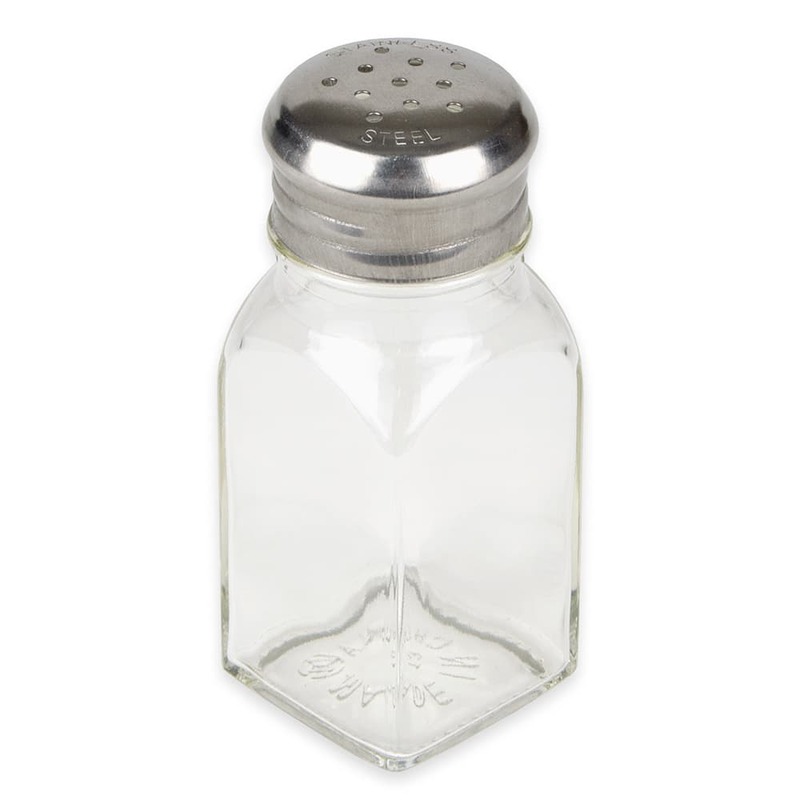 The American Metalcraft PNS24 shaker's top is made of stainless steel to resist rust, scratches, and dents. With a 4-inch height, the shaker holds 2 ounces of salt or pepper. Product is visible through the paneled, clear glass, making it easy for customers to differentiate between salt and pepper. "Came in super quick, well packed and just what I was looking for at a great price. I will be back !"